Enjoy! 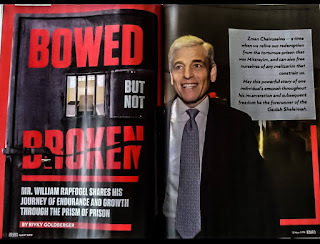 If you'd like to buy the book and simultaneously support The Biblical Museum of Natural History, please buy it at this link. Are those chapter titles or new movies to be released next year? 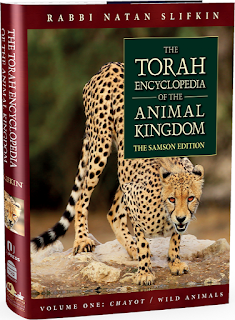 Do you have plans to publish further volumes, covering the other Torah categories of animals? He's going to go down the Star Wars path and write the prequel. "Volume 0: Extinct Animals". Future volumes will cover birds, sheratzim, domestic animals, etc. However they are years away from completion! Check out these two videos depicting an eagle snatching Goats/(Llama?) from mountain ranges. "There are four in the land that are small"
The llama is not small. I thought about that, firstly the same way that in (Midrash Bereishis Rabbah 12:9) regarding the ibex it states that they are weak! So to in (Proverbs 30:24, 26) The shefanim "are not a strong" can refer to a Llama. On that same token "There are four in the land that are small" "small" can be relative. But more so, if you look at the other three listed creatures they are way smaller in class to whatever the Shafan is! Be it a hyrax or Llama - they don’t seem to fit in the same size class of species regardless! Saying that the Llama is a Shafan is a far superior claim, since it truly does chew its cud! Perhaps you should revisit this approach to identifying these three species; Gamal, Shafan and Arneves. The evidence suggesting these to be the Dromedary, Bactrian and Llama is very compelling. If you look in Rabbi Lubins sefer on this subject (Thrilling Discoveries in the Torah), he has added numerous proofs to back up this theory. His questions regarding the grammar usage in the Torah regarding these species have not been addressed using your theory. So because the little hyrax is not as small as a locust, and a llama is small relative to an elephant, then a llama can be described as "small"?! With all due respect, are you nuts? And "short legs" refers to "short humps"??!! I'm sorry, I have to ban you from this blog, for sheer lunacy. Yes, but the fellow just concocted a llama in a most creative way. One cannot wait to see what he'll do for a kangaroo or a platypus. @Modern_Orthodox: Can you clarify your comment? Shafan is hyrax not ibex. The animals depicted in the videos were not protected by hiding under rocks. Nor were they protected from the birds by being on high hills. Also, think back to geometry. There is a difference between a necessary condition and a sufficient condition (the difference between "only if" and "if"). An animal can be Shafan, only if it hides under rocks, a Yael only if it dwells in high places. It is a necessary condition. But it is not a sufficient condition. Not ever animal who hides in rocks is a Shafan, neither is every animal in high places a Yael. I just ordered a copy yesterday. I did so not only because I think it will be interesting and informative, but also because its a way of recognizing you for the work you put into this blog. Hatzlacha. Temujin has read through the entire volume over a series of shabbats and is about to start on another reread. 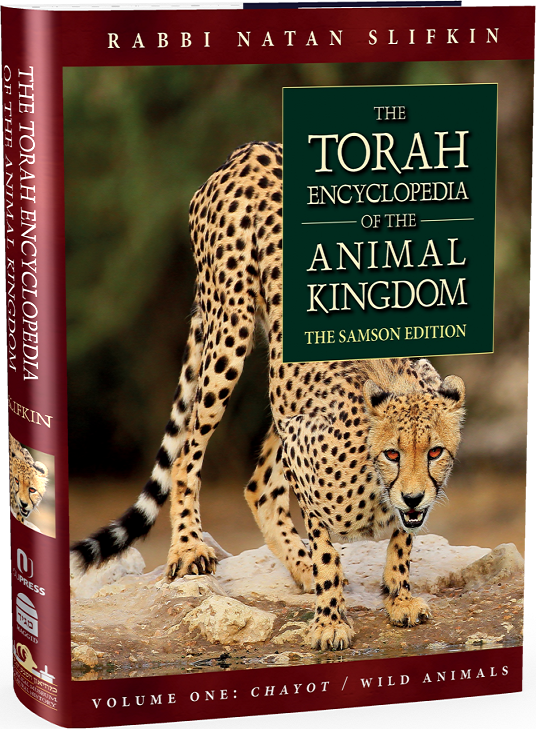 The surprising volume of information and commentaries with sound zoological facts on what is but a fraction of the animals in the Torah, all properly cited and annotated was unexpected and is truly astounding; one can understand why the Rabbi will take a while with the other volumes. The only complaint one can make is the weight of the volume; propped on one's chest whilst reclining for a pleasant read before the shabbat shluf can bring on respiratory interference and losing a grip of the thing when dropping off to sleep may result in a concussion... and a better shluf. The public has been warned.